A Gelatin Alternative That's Good and Good for Us All! I've been a fan and subscriber of the magazine, Mary Janes Farm for a few years now. If you haven't heard of it, you ought to check it out (maryjanesfarm.org). 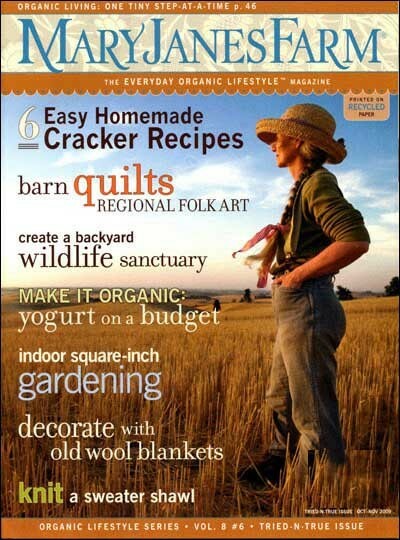 Her farm is not far from where I grew up (Spokane, WA), and she's all about healthy, natural living, and good cooking. She has an organization, Farmgirl Sisterhood that's a super resource for all the things mentioned above. But let's talk about this good cooking I find in Mary Jane's magazine. It was here that I first heard about ChillOver Powder. Have you heard of this? It's a gelatin alternative. It looks like gelatin. It tastes like gelatin. But it isn't. It's better. This innovative powder is for all the people who grew up loving gelatin desserts but gave up on them, knowing their animal origin. Its ingredients are simple: agar-agar kanten, an odorless powdered sea vegetable with superior gelling qualities. And it sets up in half the time gelatin does. It seals in flavors more quickly and it doesn't melt at room temperature. The ad copy for this product says "Once you try it, you'll never go back!" "I was looking for an easy way to make low-sugar strawberry jam. 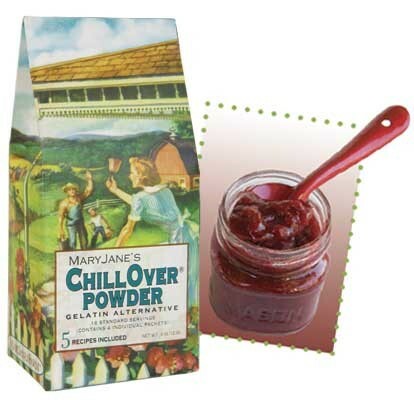 So I came up with this super-easy jam recipe using ChillOver Powder. The results were amazing. I actually like it more than traditional pectin recipes-I didn't realize how much flavor pectin robs from the fruit! The color, taste, and texture are perfect." And then there's the fact that it's USA made. Mary Jane says this is a Project F.A.R.M. (First-class American Rural Made) product. This is a project that was conceived at her farm as a way to help support rural communities that continue to disappear from our landscape. Mary Jane and her family decided something must be done to support those struggling to maintain their rural lifestyle. To do this, PROJECT F.A.R.M. 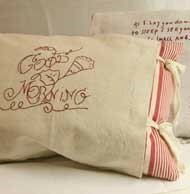 helps rural crafters compete in today's marketplace. To that end, many of the products sold on Mary Janes Farm website, or in stores "come with a face" - you can "meet" or "get to know" the person behind the product. So when you buy a product sporting the PROJECT F.A.R.M. label, you know you're supporting rural people like Miss Wilma and Friends, of Kentucky (who makes pillows), or the women of rural Idaho who sew "Farmgirl at Heart" tote bags, or the people of Shiner, Texas who fabricate wire products. Well, 'nough said. This ChillOver Powder sounds like it's not just good, it's good for us all! I had to try it, so I ordered some. It's pricy-costs more than KNOX Gelatin (4 packets=16 servings, for $4.95; 37 packets=151 servings for $19.95). But my curiosity was ignited. I have to say-the ad didn't lie-I'll never go back. I love this stuff. Blend together ChillOver Powder, sugar, salt, and cocoa powder in a medium saucepan. In a separate bowl, beat together egg yolks and coconut milk. Add to saucepan and beat well. Cook over medium-high heat for 5 minutes, stirring frequently. Remove from heat, stir in almond extract, and cool until mixture reaches the consistency of unbeaten egg whites. Beat cream until it holds stiff peaks. Fold into ChillOver mixture. 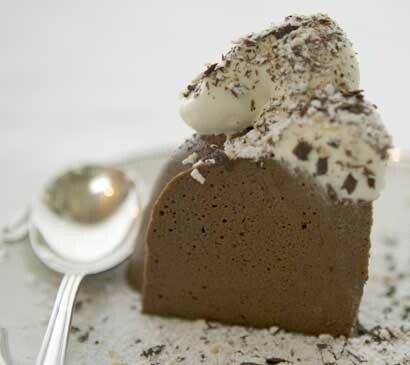 Pour into a 4-cup mold or serving dish, and chill in refrigerator until well set. Garnish as desired.